We, LINDSAY & COS INC., are one of the nominated cosmetic products manufacturer in Republic of Korea, specialized in Aesthetic Cosmetics. We had started our business 2009 year, and we had established our own factory in 2012. Our president, Yu Hee Suk started her own business for providing high qualified and home care cosmetics to public customers with DIY concept, because before she decided it, public customers can't help to choose visiting Spa & Salon to take for their own skin care services. Our products covered 1. Modeling mask pack, 2. Luxury Magic Mask pack, 3. All-in One Standing Pouch, 4. Vitamin Skincare Series. 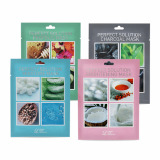 Modeling Mask pack is very useful goods for Aesthetic Shops, it contains 1kg or 820g per each products. For individual customers, we designed small and disposable cuppack. It is speciallized in caring user's facial care by themselves. One of our the best selling products, Modeling Mask Cup Pack had been sold and ranked second-best selling products in well known road shop 'OLIVE YOUNG' in part of Mask pack. 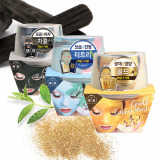 Luxury Magic Mask has been designated for people who want to get powerful moisturizing effect for their skin. It consisted of Liquid type and that of powder, it must be easy to use. All in one Standing pouch is very small and light, so it can be used anywhere that it is recommended for tourist. 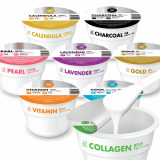 Vitamin Skin Care series are designated for people who having sensitive skins.